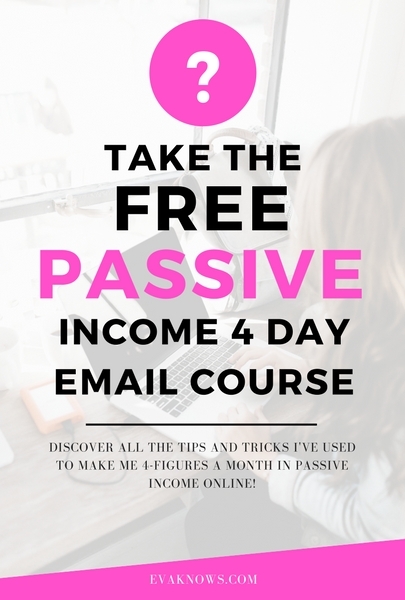 The only email course you'll need to start growing your FIRST online passive income business NOW! Ready to learn how to make 4 figures a month in passive income online?? I won't send you spam, i'm not that kinda girl! © Copyright 2019 Evaknows. All rights reserved.